Desktop replacement! 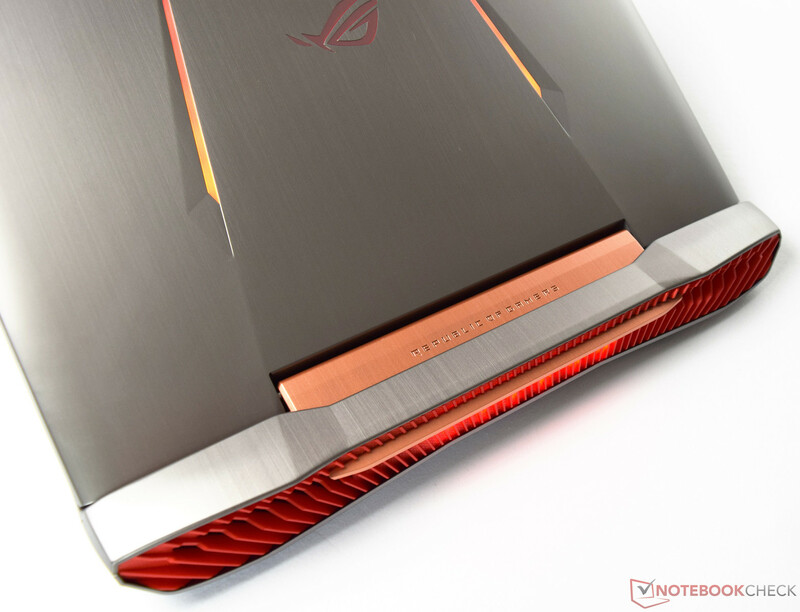 The latest model of the ROG-series is supposed to be a big leap in terms of performance. Thanks to the brand-new and powerful Nvidia GeForce GTX 1070 from the new Pascal lineup, the chances are not bad. This article will find out whether this plan works and if Asus can beat the rivals. 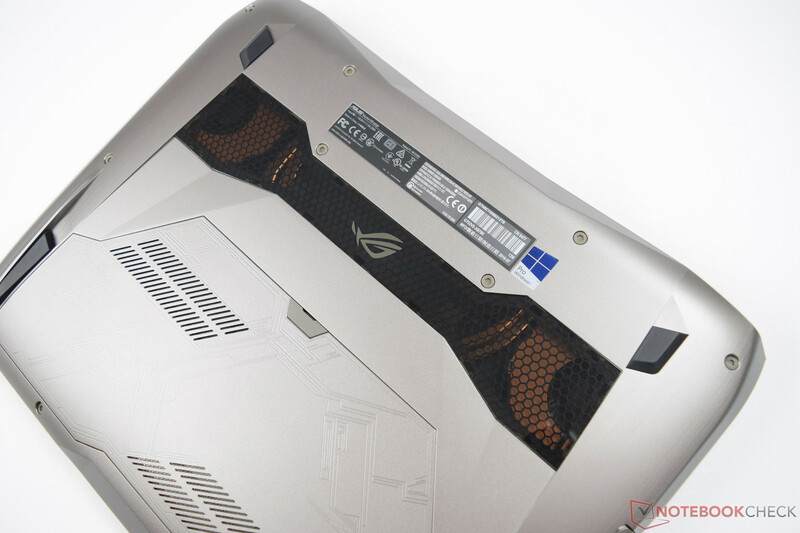 Asus' G-series is the manufacturer's premium gaming lineup and is synonymous to performance. 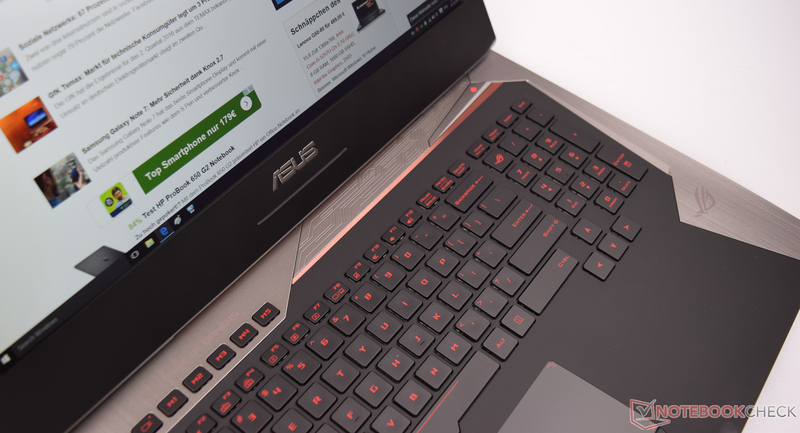 The predecessor model (G752VY) is currently in fourth place in our Top 10 ranking for gaming notebooks. Asus wants to change that with the new G752VS. 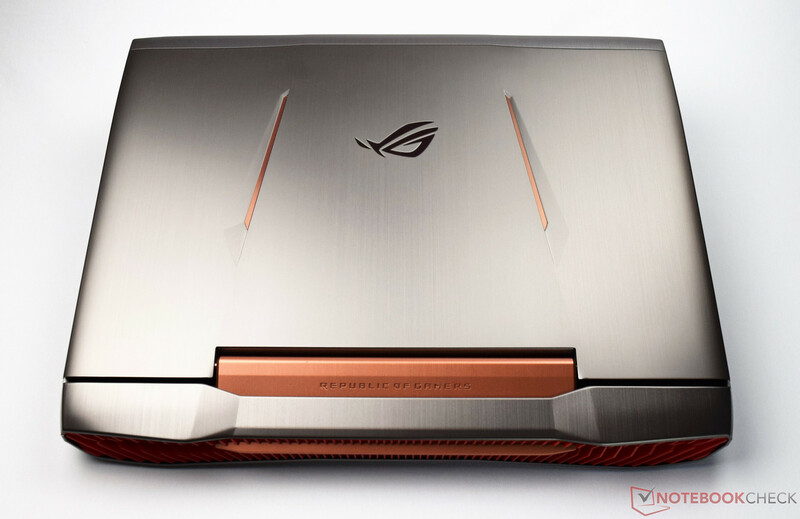 There are no visual changes compared to the predecessor and Asus still uses the familiar ROG design. A look at the specs, however, reveals some small but important changes. 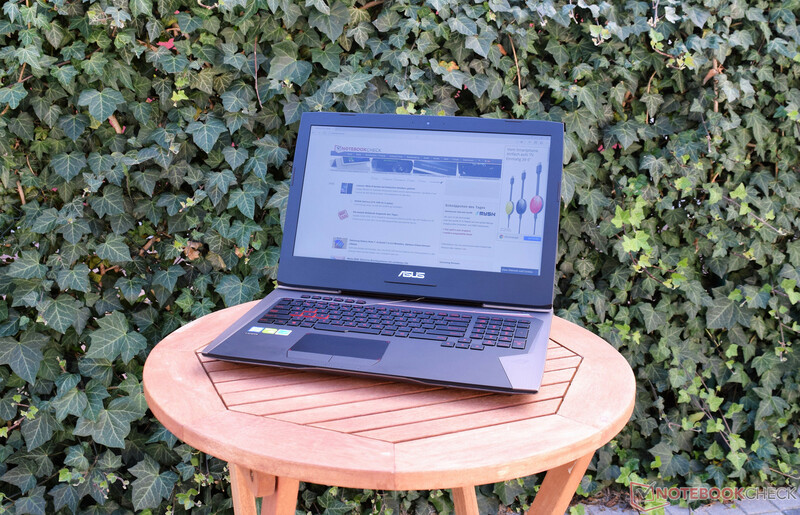 They suggest that our test model could be one of the fastest notebooks you can currently get. The Asus G752VS is equipped with the very powerful Intel Core i7-6820HK processor supported by 64 GB DDR4-RAM. The operating system is stored on a fast NVMe-SSD with a capacity of 512 GB. The most important change is the GPU. Asus equips the G752VS with the Nvidia GeForce GTX 1070. This means the Pascal architecture, which was launched about three months ago for desktops, is now available for the mobile segment. 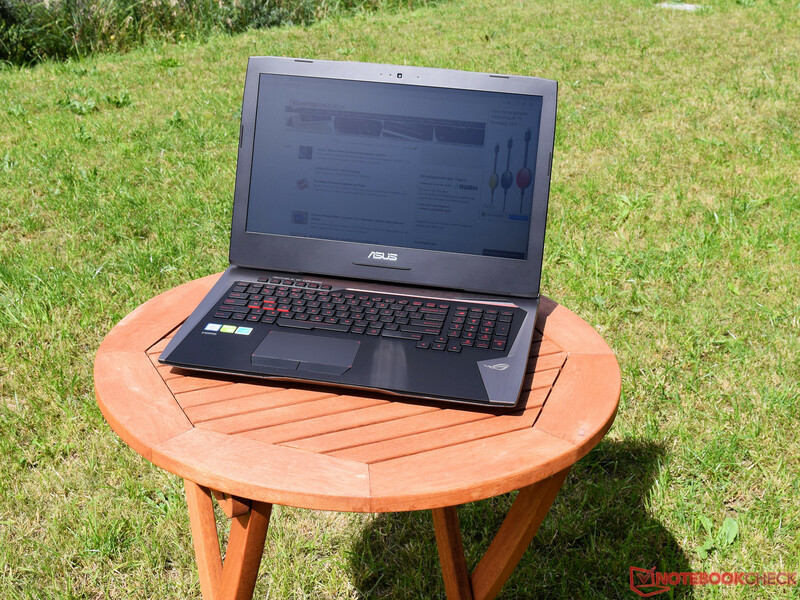 We just want to say that the Nvidia GeForce GTX 1070 is faster than the Nvidia GeForce GTX 980 (laptop). 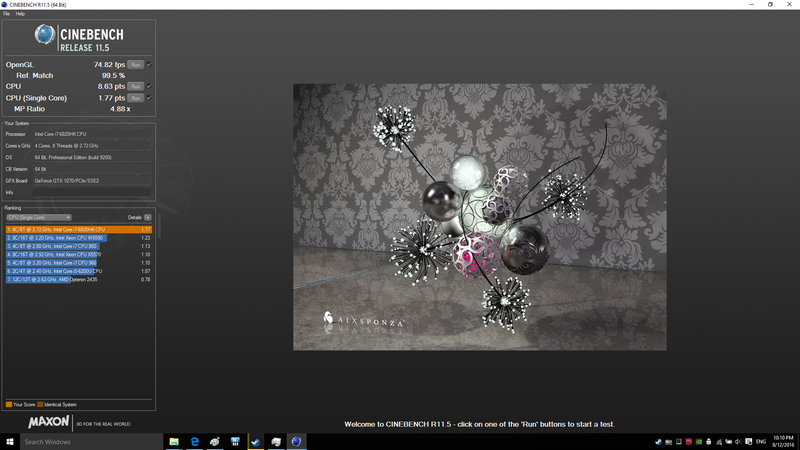 A smooth picture without tearing is provided by Nvidia's G-Sync technology, which synchronizes the picture output from the GPU with the panel. 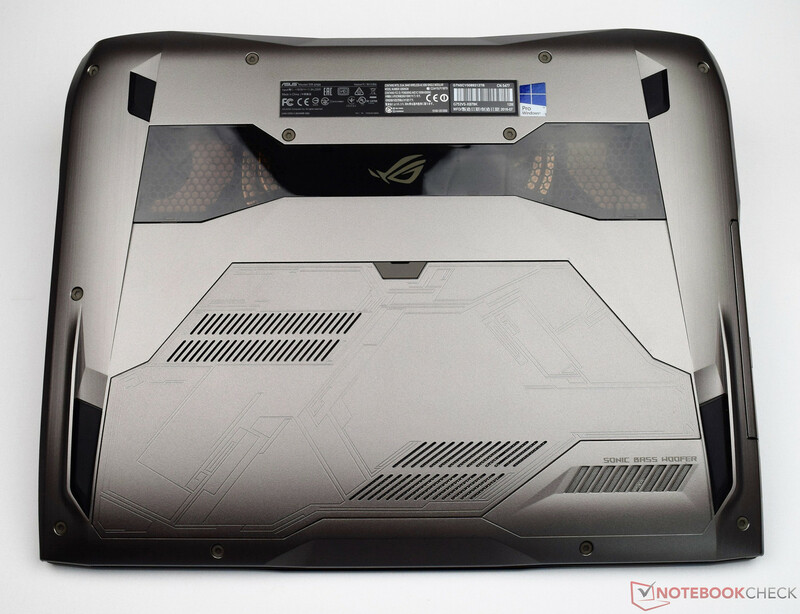 We listed the rivals for the Asus G752VS below. 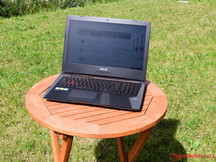 These comparison devices will accompany us in this review and the benchmarks. 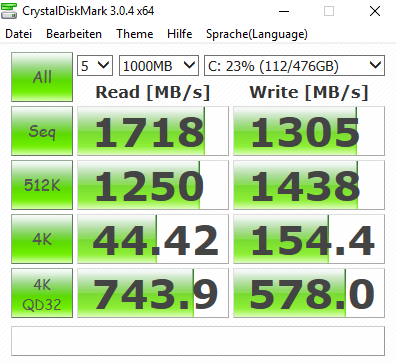 , SSD + HGST Travelstar 7K1000 HTS721010A9E630, 1000 GB HDD @ 7200 rpm. Slots: 2x M.2 Type 2280 & 1x 2.5"
The case does not differ from the predecessor (G752VY). Our test model's outside features a discreet silver/gold color. Asus uses a matte black soft-touch finish for the keyboard and the palm rests. The device feels premium to the touch. The build quality is flawless and there is hardly anything to criticize. 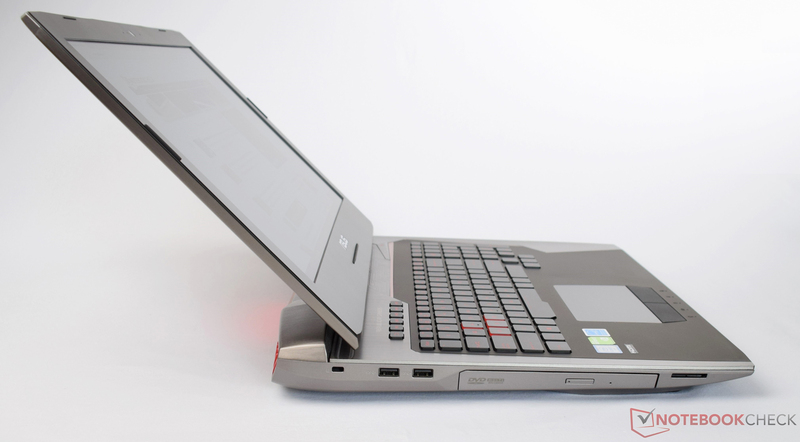 The G752VS is primarily made from metal and plastic. 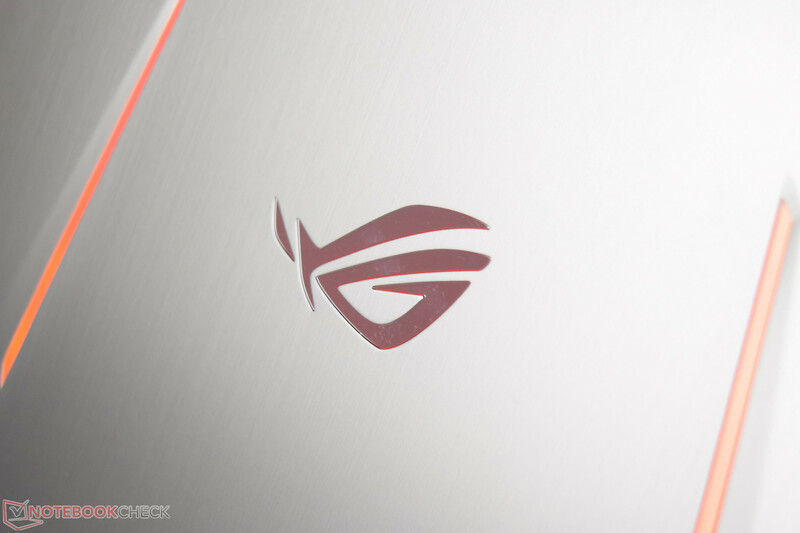 A ROG logo and two red accents, which can optionally be emphasized by the integrated light, adorn the stabile aluminum lid. Base unit and lid do not twist and we did not find anything to complain about in the pressure test, either. However, the device appears to be bulky at a first glance. In view of the incorporated components, which require decent cooling, this size is almost absolutely necessary. The hinges do a good job and hold the display securely at any angle. There is a maintenance hatch on the underside, which can be easily removed after loosening a screw. It covers a 2.5-inch hard drive, two of four RAM modules, and the NVMe SSD in 2280 format. Top: Our test model features a free M.2 slot (RAID support). The transparent plastic window is a highlight, which gives an impression of the 3D Vapor Chamber. However, you can only get a glimpse of the cooling unit here. If you want to clean the fan, you have to completely disassemble the case, which is quite difficult; just as in other ROG models. Another small drawback is the sensitive soft-touch surface, which attracts fingerprints. The size comparison shows that the 17-inch competitors are not significantly different. The G752VS weighs in at 4.5 kg. Hence, it is as heavy as the previous G752VY. The port variety is the same as the predecessor's. For example, you will still get only four full-size USB 3.0 ports. Some users might wish for more USB ports. 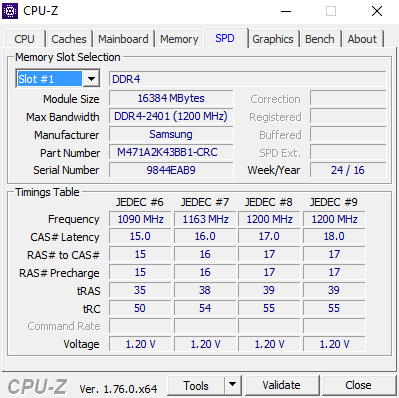 The MSI GT72VR brings a significantly higher port variety. The interface layout is fair. 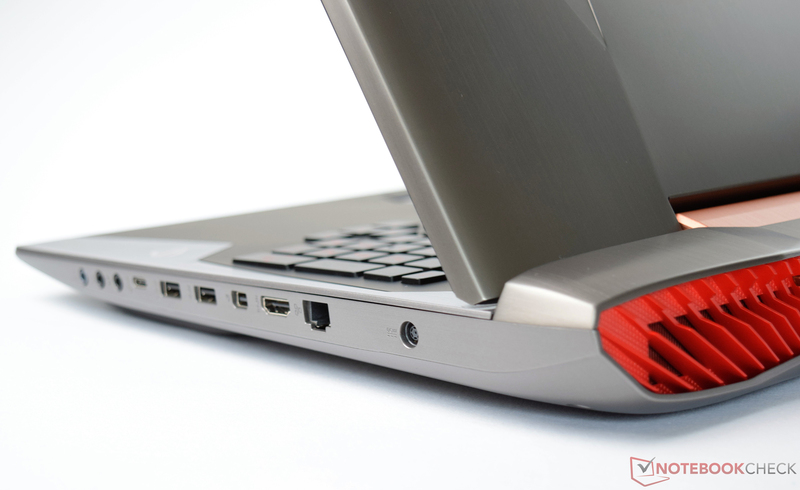 There is sufficient space between the individual ports, so they do not block each other. However, cables might get in the way when using a right-hand mouse. 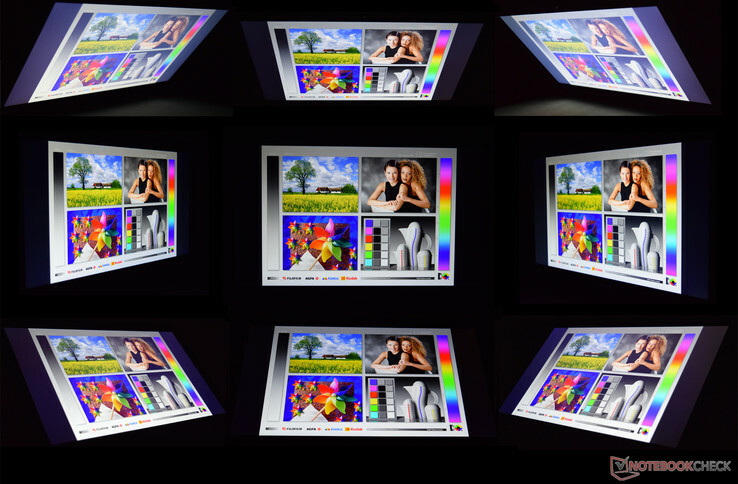 Multimedia content can be sent to external devices via HDMI 2.0, Mini-DisplayPort 1.3 or WiDi. During our time with the device, we did not face problems with these interfaces. 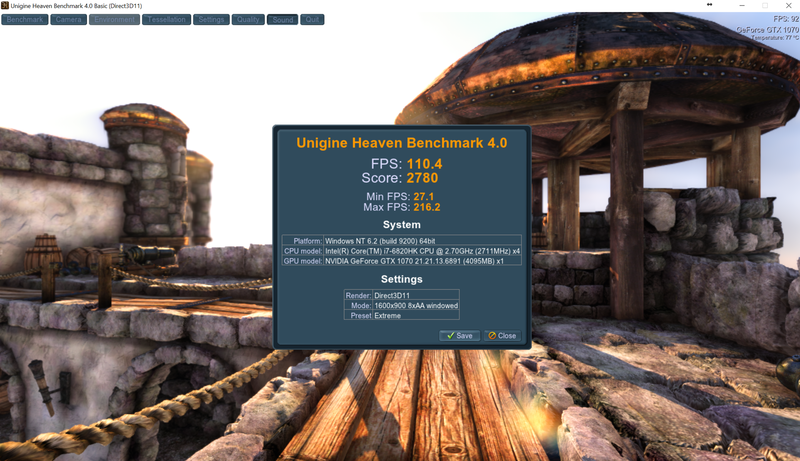 Gaming benchmarks ran flawlessly up to 4K resolution. The card reader is on the left side next to the optical drive. It supports all usual SD formats such as SD, SDHC, and SDXC. Inserted cards only just stick out of the slot, which minimizes the risk of accidentally damaging them. We test the performance with our Toshiba Exceria Pro SDXC 64 GB UHS-II reference card. This test copies 250 .JPG files to the hard drive. 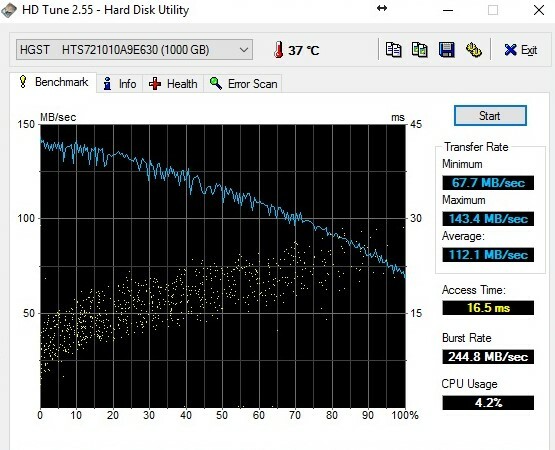 We recorded an average transfer rate of 76 MB/s for the Asus G752VS. 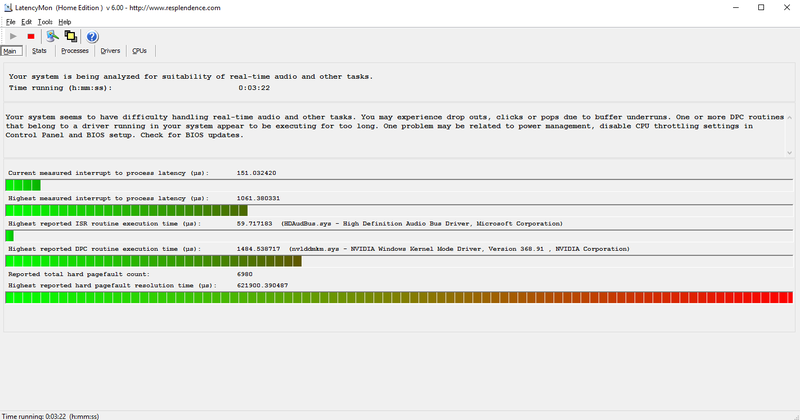 In sequential reading, which is simulated with the AS SSD tool, our test model achieved 86 MB/s. With this performance, the G752VS ranks in mid-range. Several competitors achieve significantly better results. Among the notebooks in our comparison group, the Schenker XMG U716 provides the best card reader performance. 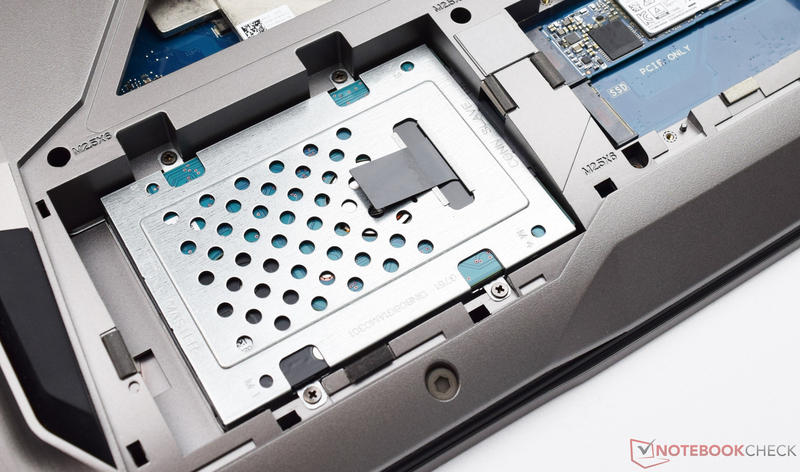 The Asus G752VS has been equipped with a dual band AC 8260 module from Intel for wireless communication. The 802.11ac 2x2 features a theoretical gross transfer rate of 867 Mbit/s. 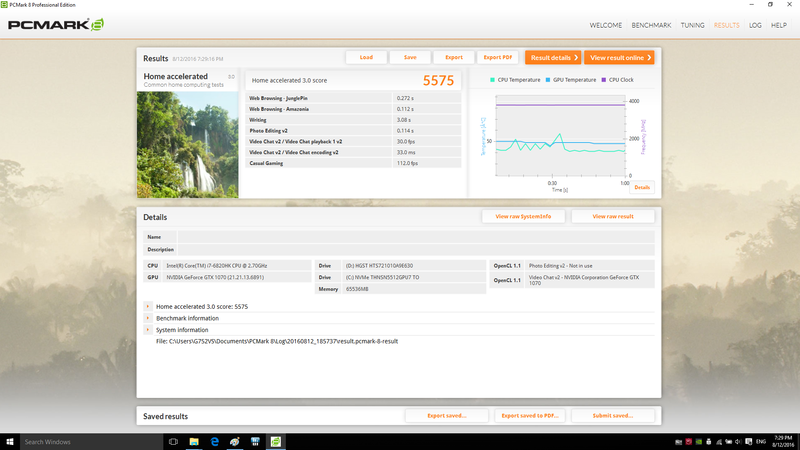 In our test, the 17-inch laptop achieved 465 Mbit/s in sending and 566 Mbit/s in receiving. 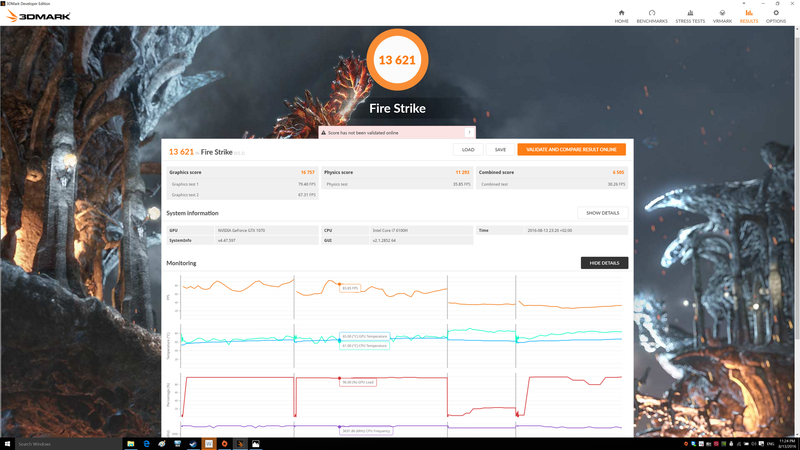 These results are not sufficient for outperforming the MSI GT62VR, which achieves a better result. Those who prefer wired networking can connect via the Ethernet port. The latter allows a maximum transfer rate of 1000 Mbit/s. The GameFirst IV tool allows prioritizing network traffic depending on the application. You can use this feature for granting priority to games. 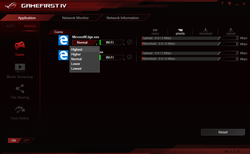 This is possible for LAN and WiFi connections. In terms of security, the Asus G752VS sports a Trusted Platform Module (TPM 2.0) and a Kensington lock slot. Included extras are a warranty card, cable ties, and a quick-start guide, which we already know from the G752VY. Beyond that, driver and/or system recovery media would be desirable. 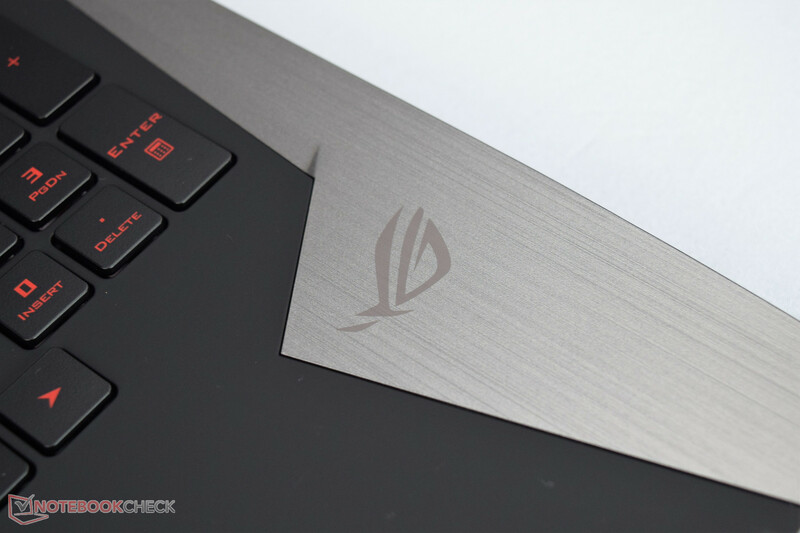 Note: Asus offers optional ROG-branded accessories on its homepage. A small Phillips screwdriver is sufficient for removing the maintenance hatch on the underside. 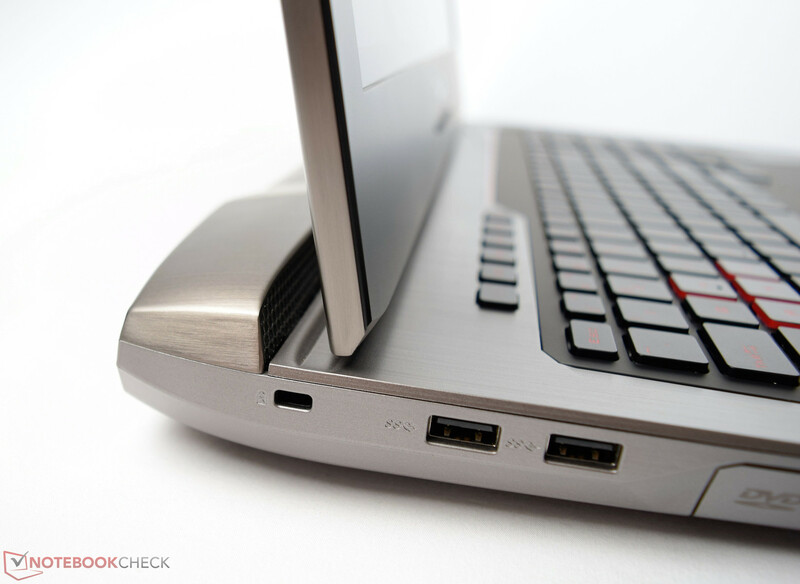 This allows access to the M.2 SSDs, the 2.5-inch hard drive and two of four SODIMM slots. 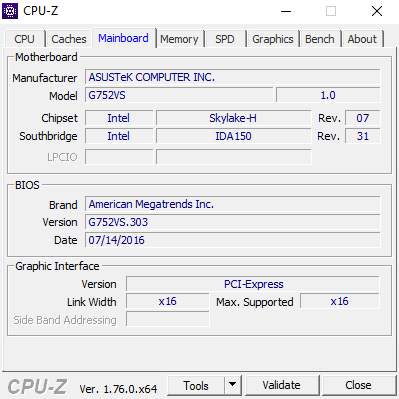 It is very user unfriendly to get to the other components such as the CPU, GPU, Wi-Fi chip, battery, and the secondary RAM slots. It is not sufficient to loosen a lot of screws in order to get the underside off. It is still firmly connected to the top side at several spots. 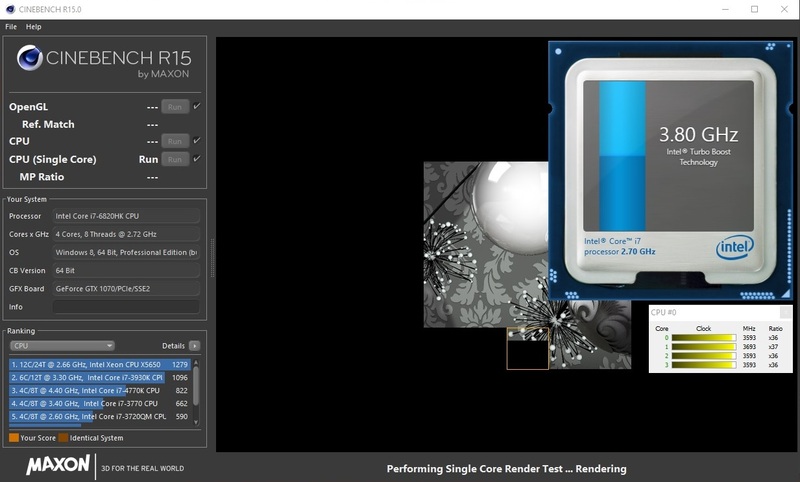 This problem is already known from older ROG models. Asus probably wanted to make disassembling difficult. Be that as it may, other manufacturers provide more customer-friendly solutions. 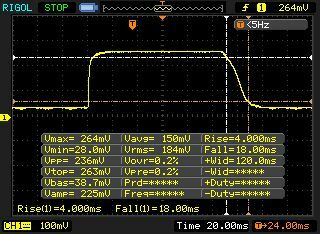 A glance at the G752VS's keyboard does not show changes. The layout is identical to the predecessor's. The keys are sufficiently big and there is a gap of 3 mm between them. The key travel is just under 2.5 mm. The surface of the keys is matte and makes for a high-end experience. The build quality is flawless. Nothing clatters or wobbles. The red three-level backlight is an optical highlight. According to Asus, the keyboard is capable of registering and processing up to 30 inputs at a time. 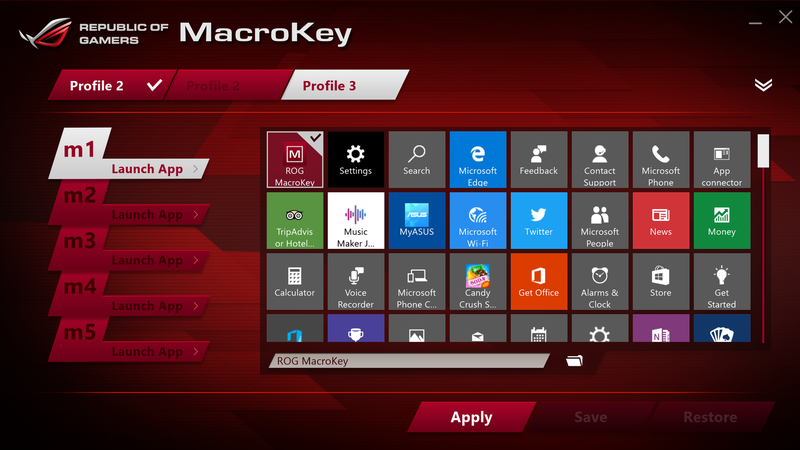 Above the keyboard, there are five macro keys and a quick-select button, which is linked to the XSplit Gamecaster for recording or streaming game scenes. 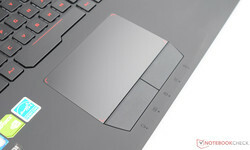 Alike the keyboard, the touchpad has not been changed in shape and size compared to the predecessor. The trapezoidal surface (~12 x 6.8 cm) allows smooth and precise gliding. The input device does not work flawlessly in the corners. The Asus Software Smart Gesture brings additional options and is capable of recognizing up to four fingers. The separate mouse buttons are slightly rubberized and sufficiently "grippy". The travel is similar to the keyboard's. The acoustic feedback is discreet and pleasantly quiet. 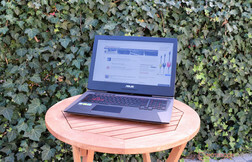 Asus equipped our review unit with a Full HD IPS-panel, which is provided by LG (LP173WF4-SPF3). The screen has a matte surface and therefore avoids annoying reflections. Asus offers three different panels for the current G752: two Full HD screens with 75 Hz or 120 Hz, as well as a 4K panel with 60 Hz. All three panels support G-Sync. 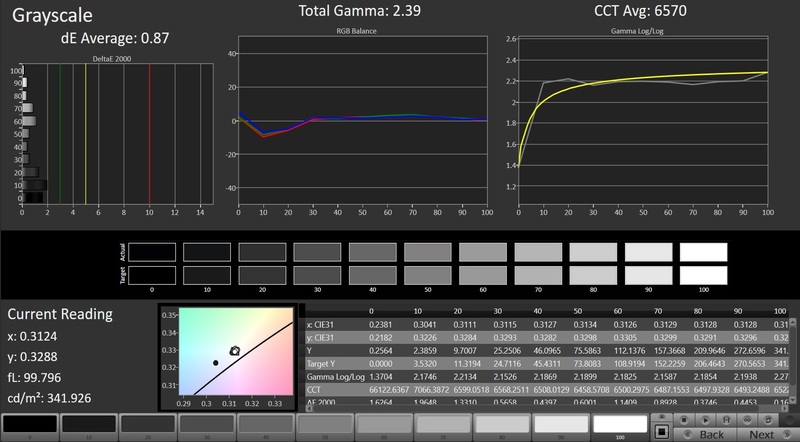 The native resolution of our test model is 1920x1080 pixels, so the pixel density on the 17-inch screen is 127 PPI. 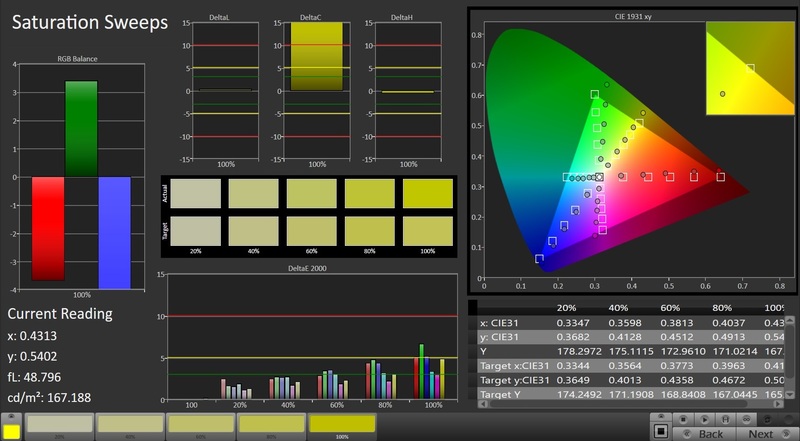 The LG display manages decent results for the luminance (317 cd/m²) and contrast (1093:1). Almost all comparison devices are roughly on par in this section. 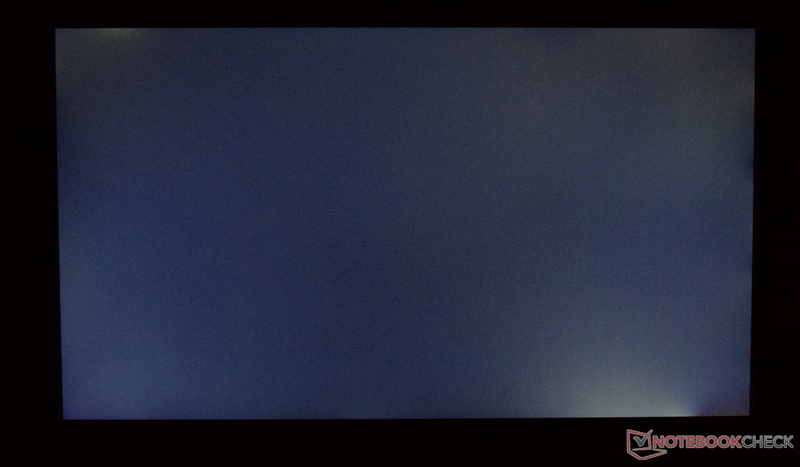 Our test model shows some backlight bleeding around the edges. We want to mention that there is no PWM flickering. The picture quality is good, even though this can be expected from a device in this price range. 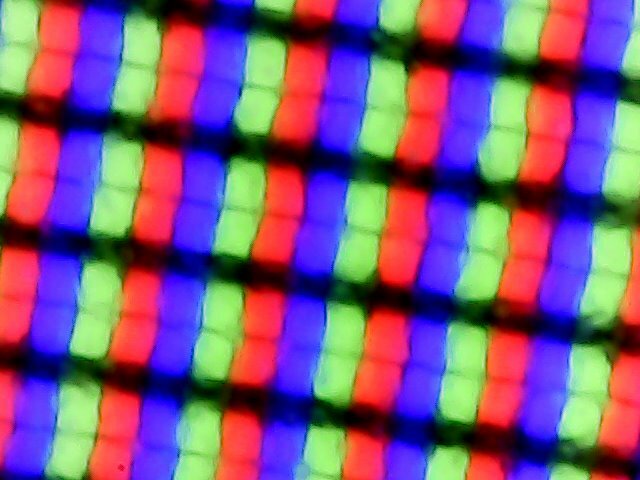 Contrast (1093:1) and black value (0.3 cd/m²) are typical for an IPS screen. 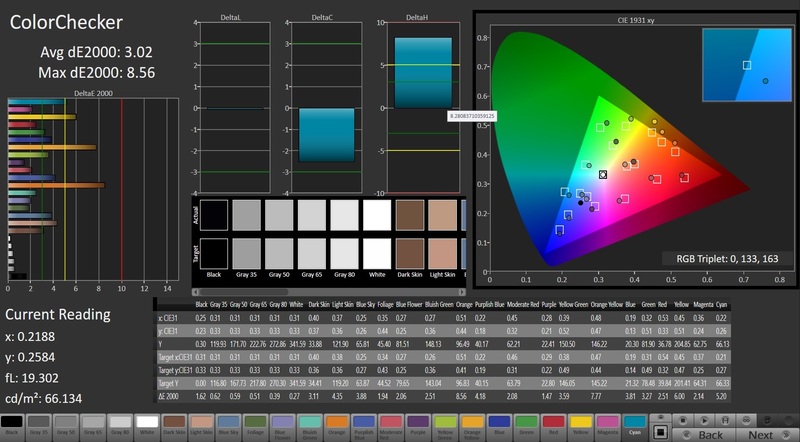 Dark scenes are not covered by an unwanted "gray hue". Colors appear rich and vivid. 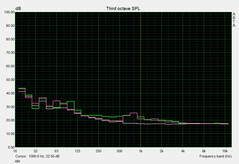 The DeltaE-2000 deviations are already good ex-works, but a calibration did improve the results even further. You can find the ICC profile linked in the box above. The Full HD panel of our review unit covers the sRGB color space by 85% and the more demanding AdobeRGB standard by 56%. 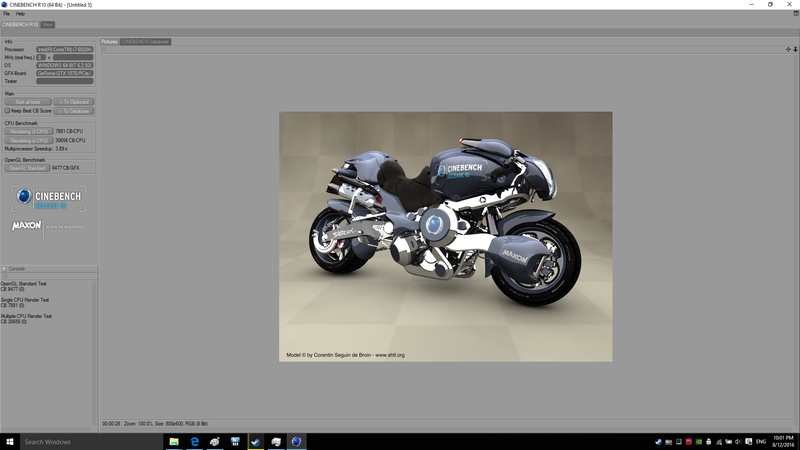 These are not good results for professional picture and graphics editing. 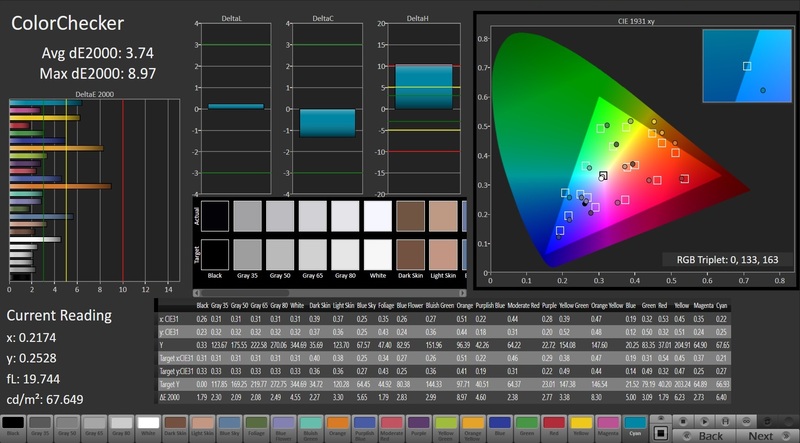 A much wider color gamut is only provided by the Schenker XMG U716 in this comparison. We can see the advantages of the IPS panel when we evaluate the viewing-angle stability. You can see the picture content from any direction without quality drops. It is also possible to use the device outdoors thanks to the matte screen surface and the decent luminance. The performance of the G752VS is generally on a very high level. Intel's Core i7-6820HK processor provides more than sufficient performance for all common applications. 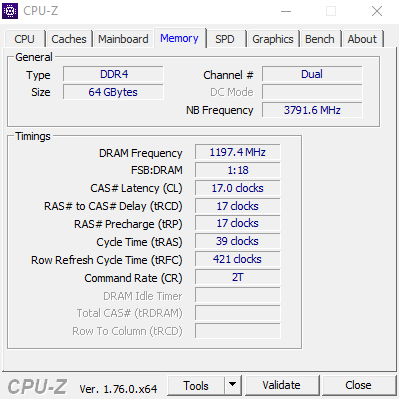 64 GB DDR4-RAM (2400 MHz) is also a lot, so gamers should have no problems here. 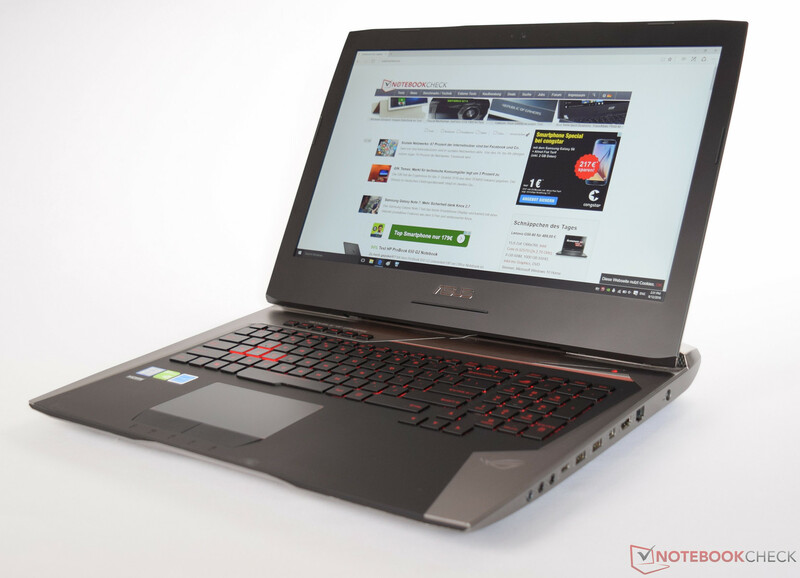 The G752VS is also available with the Intel Core i7-6700HQ, but the latter can only be operated with DDR4-2133 MHz, while the Intel Core i7-6820HK supports DDR4-2400 MHz. The fast processor works well with the powerful Nvidia GeForce GTX 1070 and the performance of the two components is sufficient to handle even modern games smoothly in 4K. Finally, you get the NVMe-SSD, which ensures a responsive system. It only takes a couple of seconds before you can use the system after you turn it on. 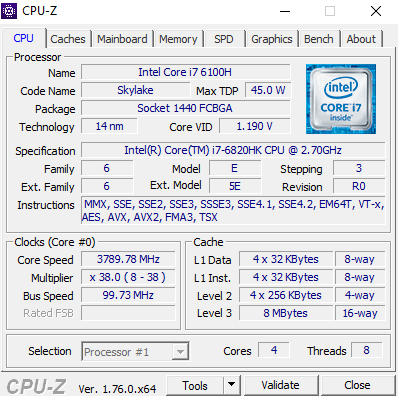 The Core i7-6820HK is a quad-core CPU of Intel's Skylake generation, which can process 8 threads simultaneously thanks to the Hyper-Threading technology. 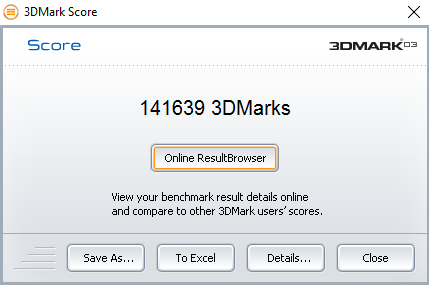 Usually the 14 nm model clocks at 2.7 GHz. 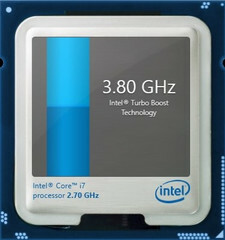 However, Turbo Boost makes up to 3.6 GHz (1 core), 3.4 GHz (2 cores) or 3.2 GHz (4 cores) possible. 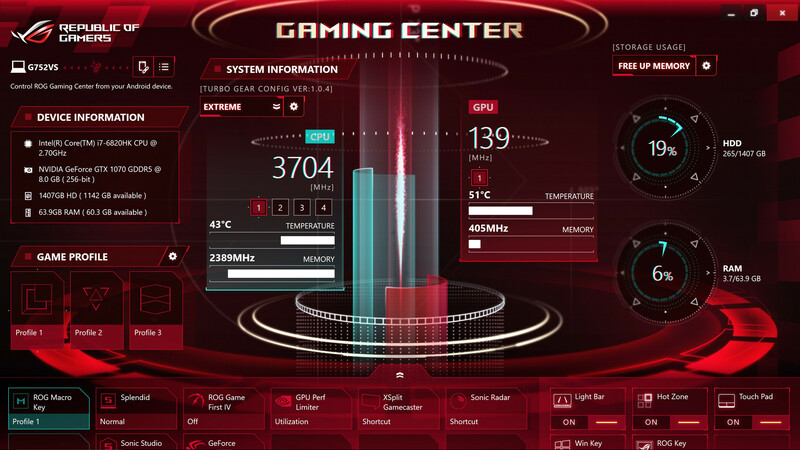 Asus enables optional extra overclocking by means of the profile "Extreme" in the ROG Gaming Center, which allows overclocking the processor to 3.8 GHz. 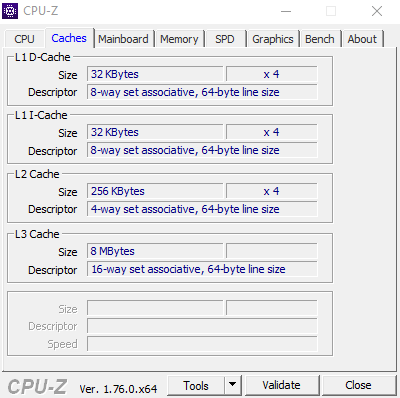 If this is still not enough for you, you can manually adjust the clock rate with the profile "Manual", which allows a setting of 4.0 GHz for example. However, the system relatively quickly reaches the thermal limit under full load and the CPU reduces the clock. 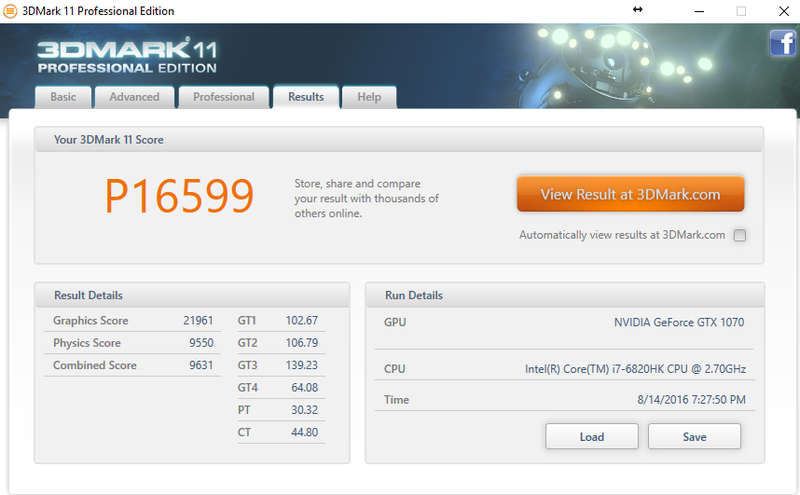 Compared to the competitors, the Core i7-6820HK unsurprisingly ranks in above the Core i7-6700HQ. Thanks to a desktop processor, the Schenker XMG U716 can outperform the G752VS. 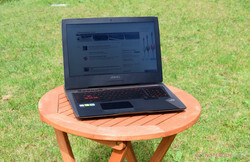 PCMark 8 attests that the 17-inch laptop performs excellently. It performs best among the rivals. 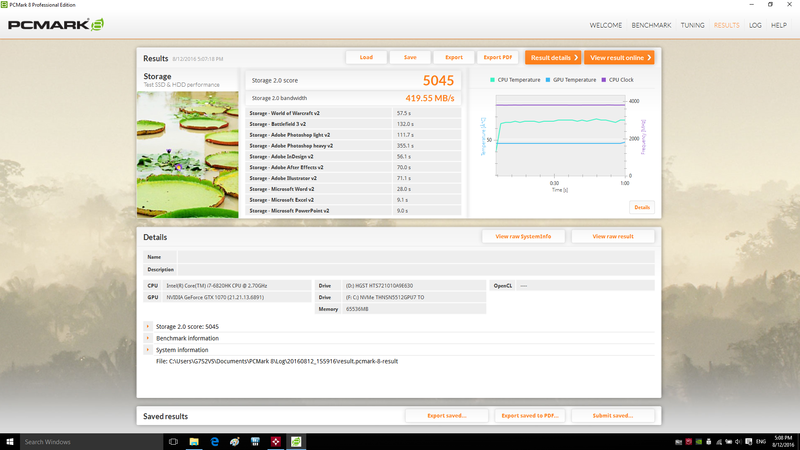 The high results are due to the very fast NVMe SSD and a combination of quad-core CPU and high-end GPU. Subjectively, the system runs perfectly. Booting only takes a few seconds. 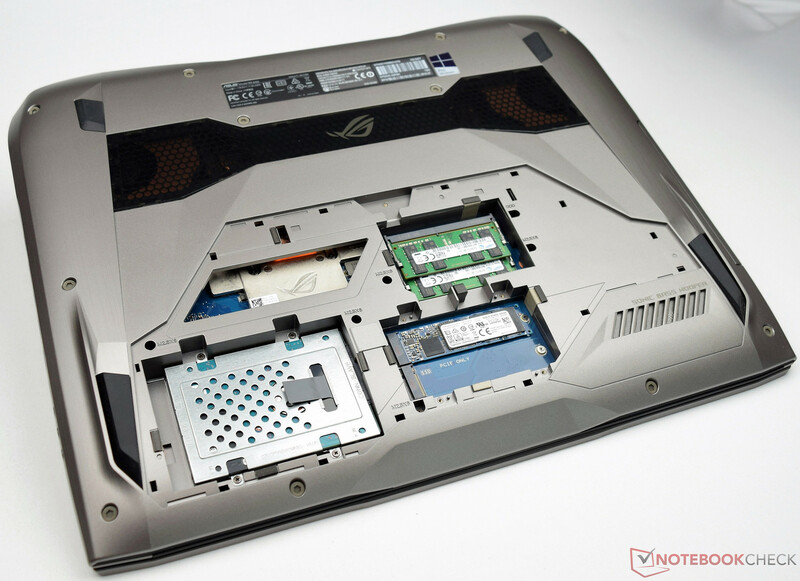 The Asus G752VS comes with a combination from SSD and HDD. The operating system is preinstalled on the M.2 SSD. More precisely, it is a Solid State Drive from Toshiba (NVMe THNSN5512GPU7) with a capacity of 512 GB. We have tested the performance with CrystalDiskMark. The sequential read and write rates are about 1700 MB/s and 1300 MB/s, respectively. 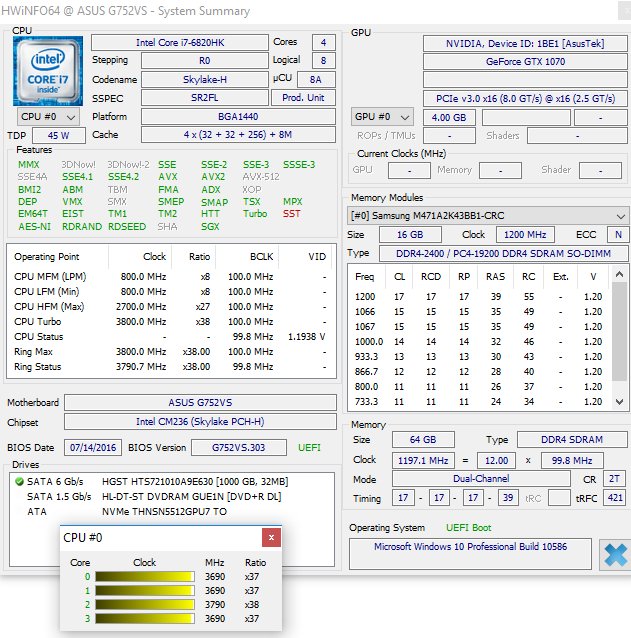 The G752VS can host two PCIe SSDs in M.2-2280 format. One place is free in our test sample. 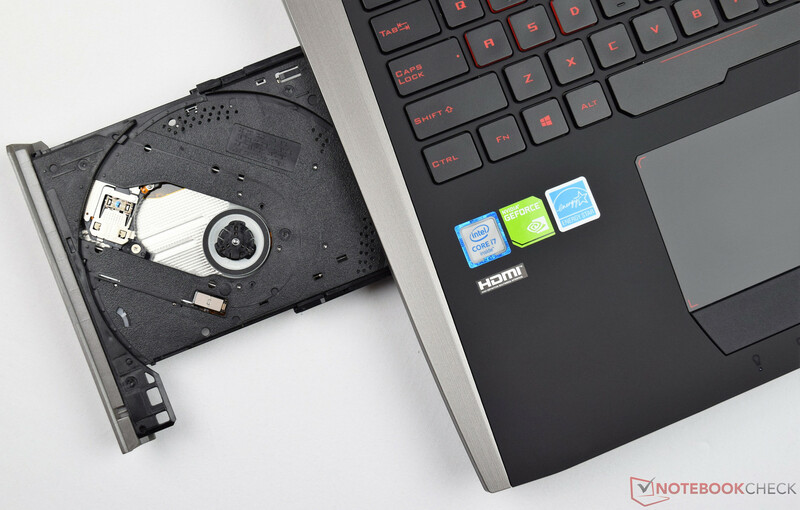 The conventional 2.5-inch hard drive stems from HGST, offers a storage capacity of 1 TB and rotates at 7200 RPM. 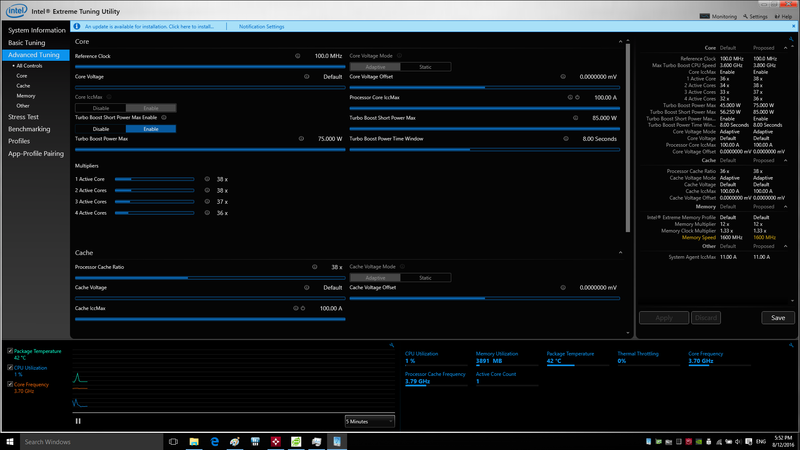 We have determined its performance with CrystalDiskMark, too. 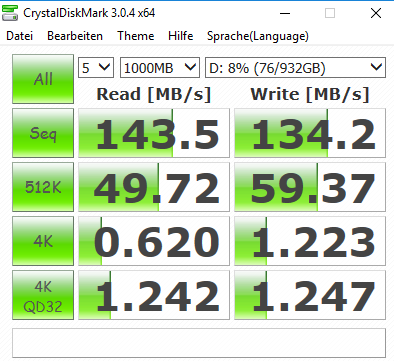 The result is a sequential transfer rate of 144 MB/s in reading and 134 MB/s in writing, which is more than decent for an HDD. 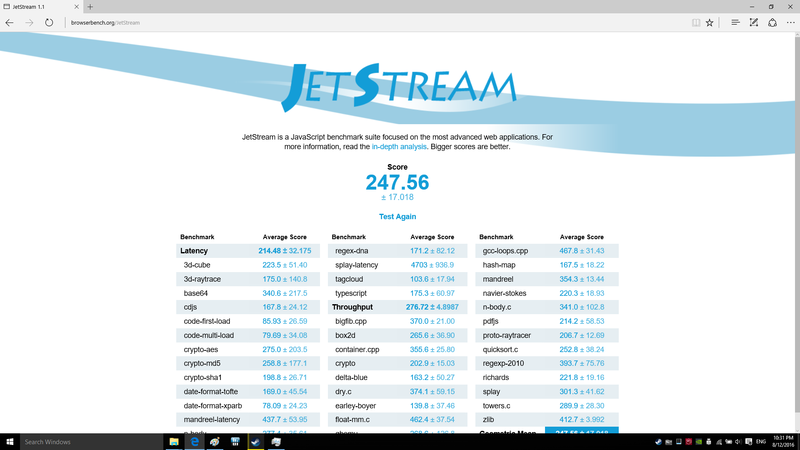 Now, we will look at the actually new feature, the big performance gain compared to the previous generation. The potential power of Pascal GPUs has already been discussed heavily in advance. Hard facts are following now. First of all, they are no longer marked with "M" for mobile, which used to be an indication of lower performance. 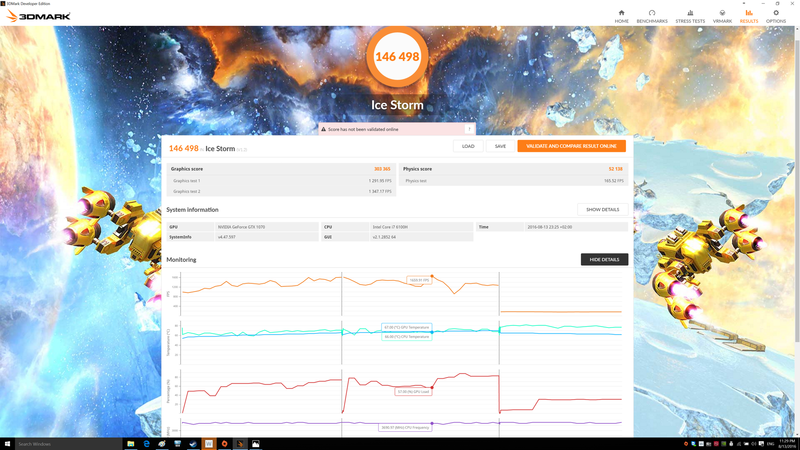 Thus, you can conclude that the GeForce GTX 1070 is supposed to render as fast as its desktop counterpart. The reference design of the desktop variant clocks at 1506 to 1683 MHz instead of 1443 to 1645 MHz. 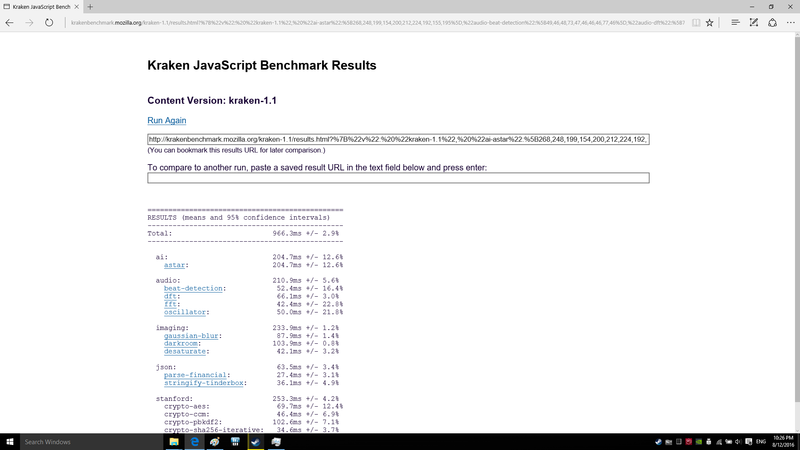 In return, the shader count is 7% higher in the laptop GTX-1070 (2048 vs. 1920). This is supposed to make up for the slightly lower clock rate. However, many desktop chips differ heavily from the founder's editions and are sold with significantly higher clock rates ex factory. Therefore, notebook enthusiasts are worse off again. 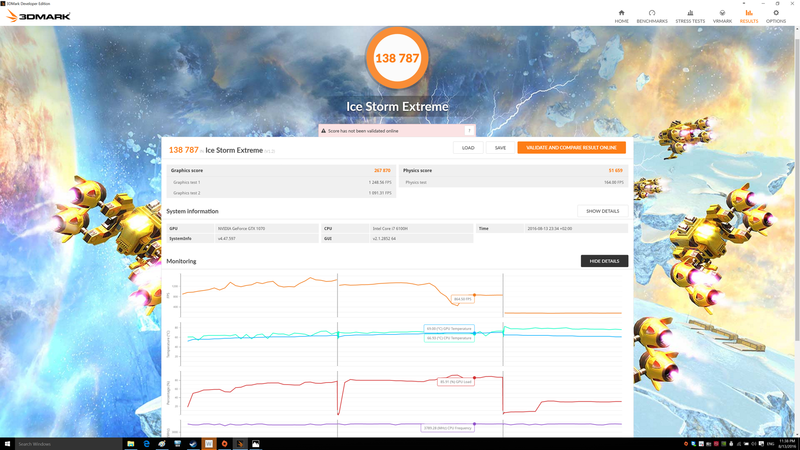 The clock rate of the mobile GTX 1070 heavily depends on cooling, which is decisive for a high Turbo. 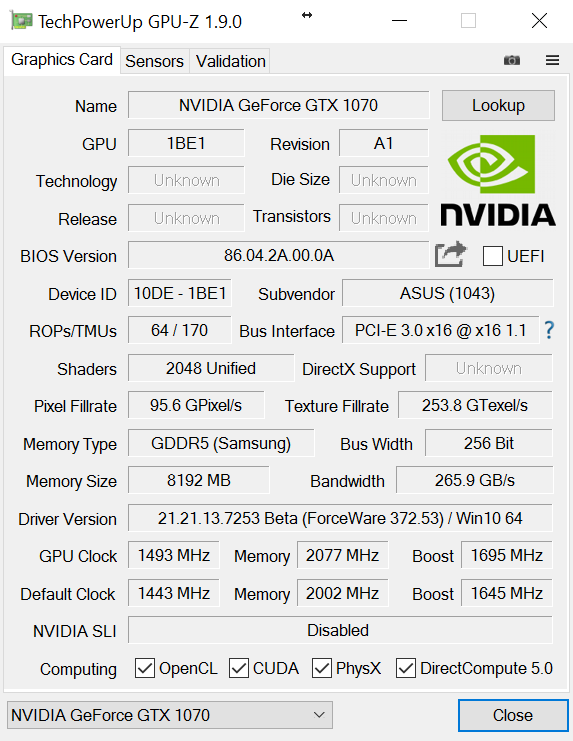 In the Asus G752VS, the "Extreme" profile of the Gaming Center not only overclocks the CPU but also the GPU. 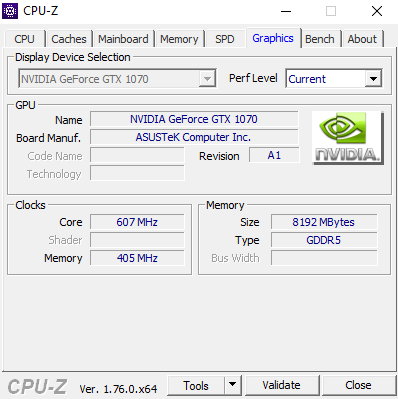 For example, the GeForce GTX 1070 features a core clock rate of 1493 to 1695 MHz and a memory clock rate of 4150 MHz (standard: 4000 MHz) in our test model. Attentive readers might have already discerned that the GeForce GTX 1070 brings a significant performance gain. 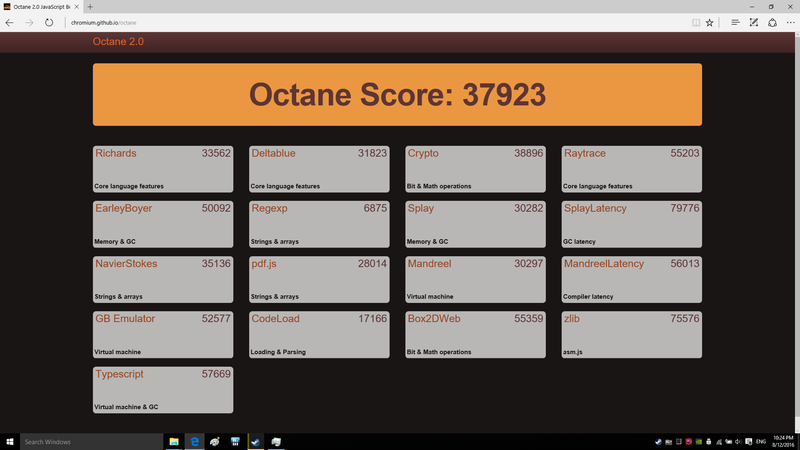 This can also be seen in the gaming tests. 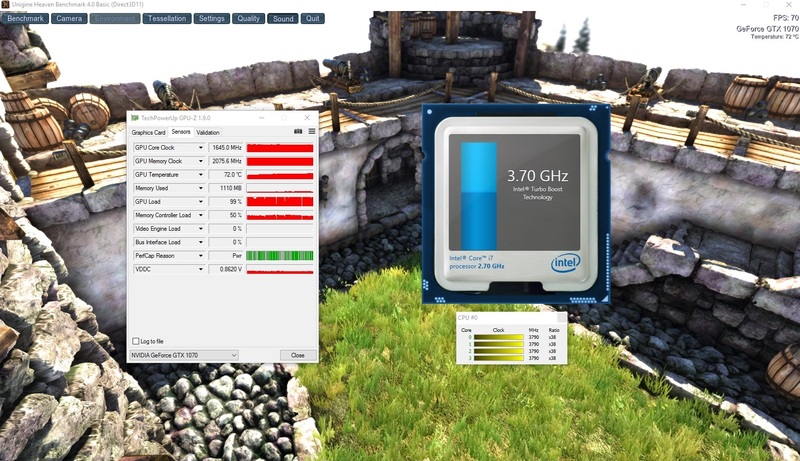 The mobile edition of the Pascal family is able to smoothly run almost all games in 4K and with the preset "high". The older Maxwell architecture had to surrender here and games often turned into "slideshows". All titles can be enjoyed in native resolution (1920x1080 pixels) at maximum details and multiple anti-aliasing. Compared to the predecessor (GeForce GTX 970M), the GeForce GTX 1070 brings double the performance. 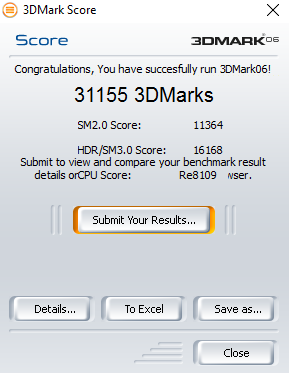 Such a high performance gain seldom occurred in the history of mobile GPUs. Already the G752VY performed well in this aspect. Due to the same design of case and cooling system, the devices perform almost the same in system noise. 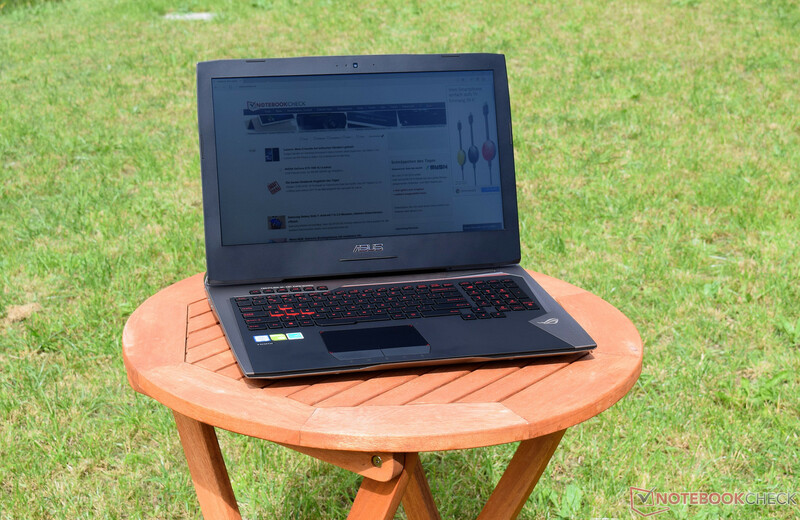 Thus, the Asus G752VS belongs to the quietest gaming notebooks. The fans run constantly and never stand still. When idling, the 17-inch device emits a discreet rustling noise, which is not disturbing. 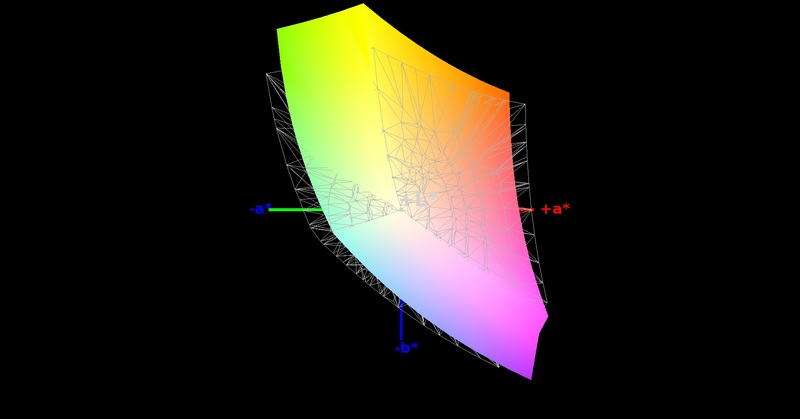 During 3D applications such as games, the system noise slowly increases from 33 to 40 dB(A). In our extreme scenario, with 100% CPU and GPU load, the G752VS reaches a maximum of 47 dB(A). Watching videos and web surfing causes a constant, lower fan speed (no pulsation). The temperatures are slightly higher than the G752VY's. This is not a big issue, since the surface temperatures only slightly exceed 40 °C at several hot spots. 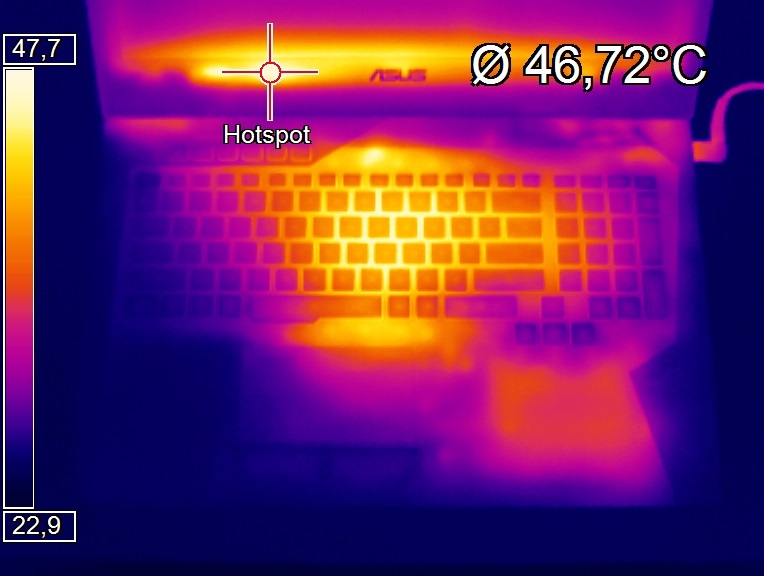 We record a maximum of 42.9 °C for the G752VS. 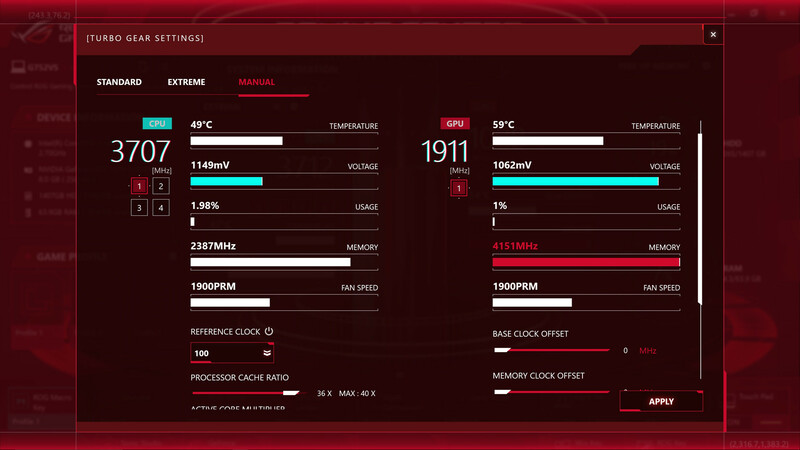 The two MSI devices GT72VR and GT62VR get significantly hotter and partly exceed 50 °C. 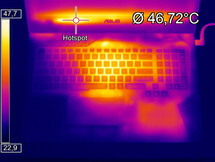 The MSI GT72VR even reaches almost 60 °C in some spots. 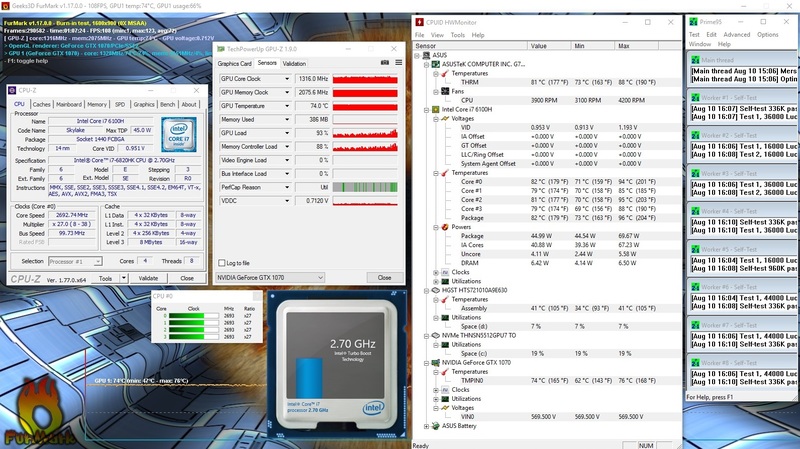 In the stress test (CPU and GPU are stressed with Furmark & Prime95 for at least one hour), we recorded a maximum CPU temperature of 96 °C (average: 80 °C). After a while, the Core i7-6820HK decreased its clock rate to 2.7 GHz, whereby the Turbo is inactive. 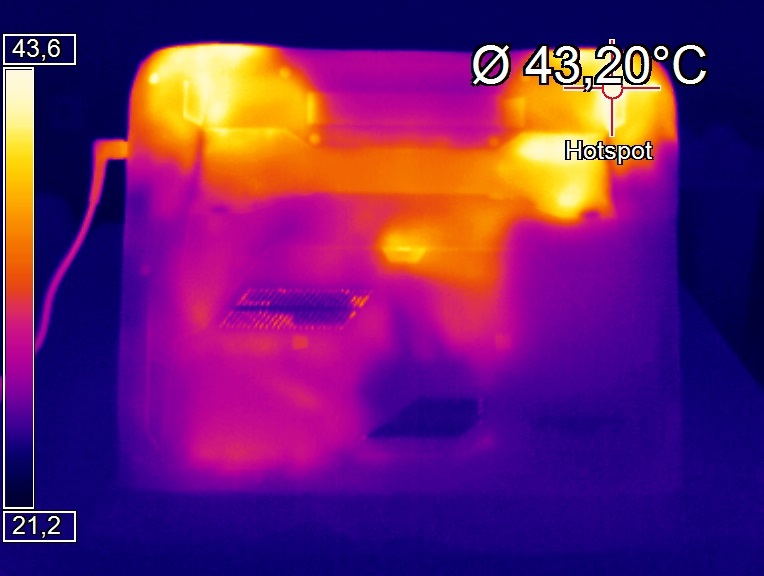 In addition, we observed thermal throttling, which is supposed to prevent the CPU from overheating. 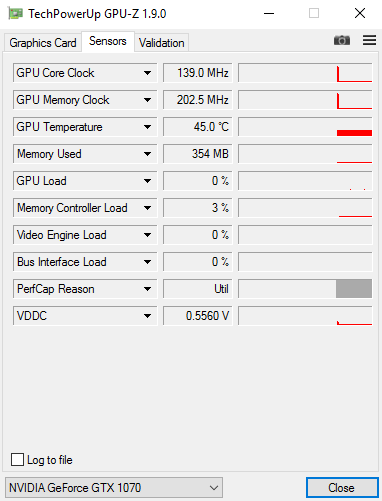 The GPU reached just under 1300 MHz and warmed to above 74 °C. The clock rate remained constant throughout the test. 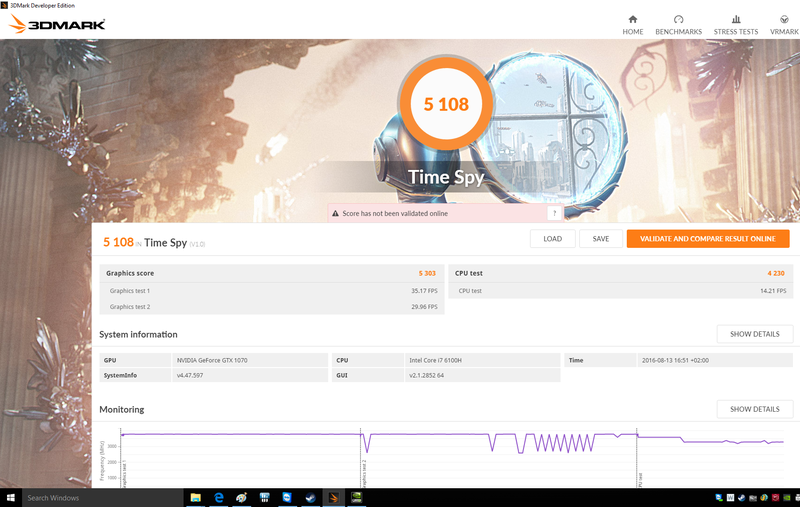 We reran 3DMark 11 after the stress test and the score was 600 points lower. 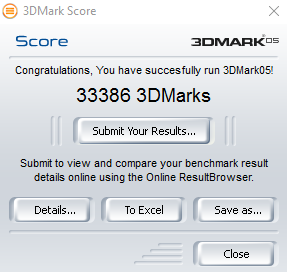 This result is similar to the cold run's result. Thus, a performance loss is not to be expected even during prolonged gaming sessions. 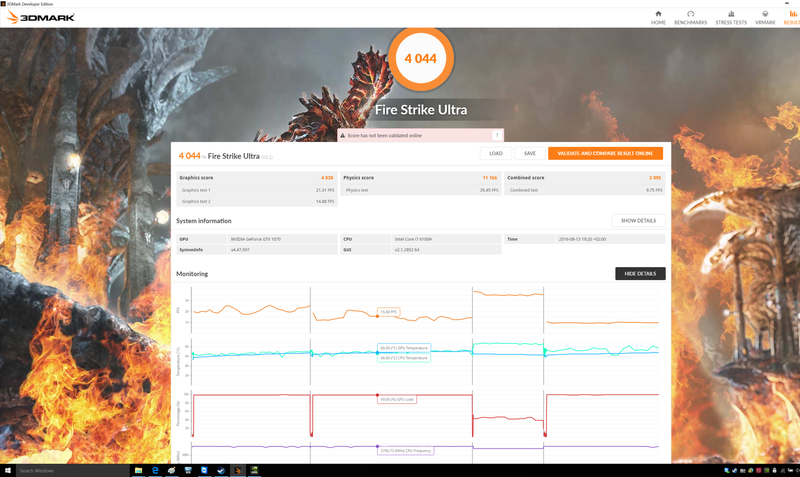 (±) The average temperature for the upper side under maximal load is 37.3 °C / 99 F, compared to the average of 32.9 °C / 91 F for the devices in the class Gaming. (+) In idle usage, the average temperature for the upper side is 29.5 °C / 85 F, compared to the device average of 32.9 °C / 91 F.
The subwoofer sits on the underside. 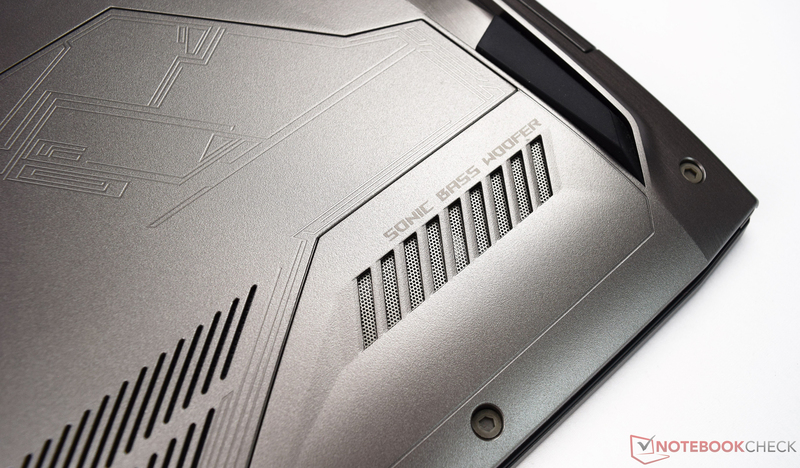 The two stereo speakers are behind the display on the rear side of the notebook. Due to the case size, bigger speakers could be incorporated. A separate subwoofer, which makes for decent bass, sits on the underside of the G752VS. The generated sound is good. The quality does not diminish with increasing volume and noise is not audible. 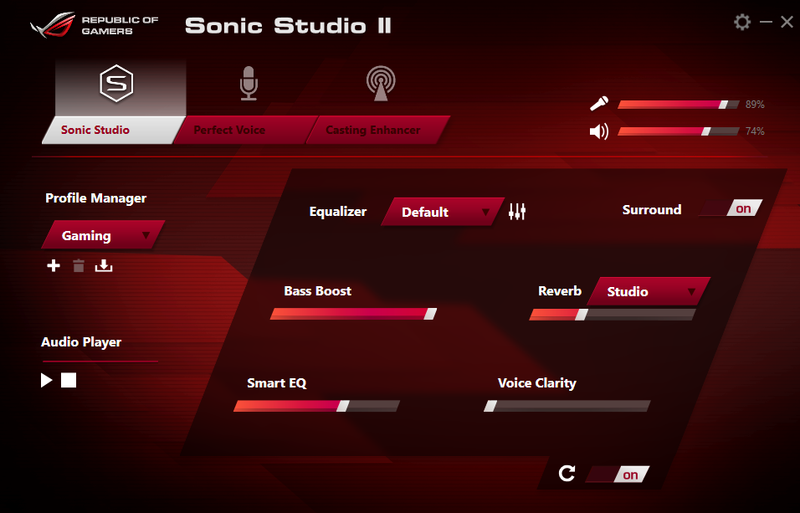 The Sonic Studio II, which is already known from the predecessor, is easy to use and self-explanatory. It allows adjusting the sound profiles according to your preferences. ...a maximum of 230 Watt. 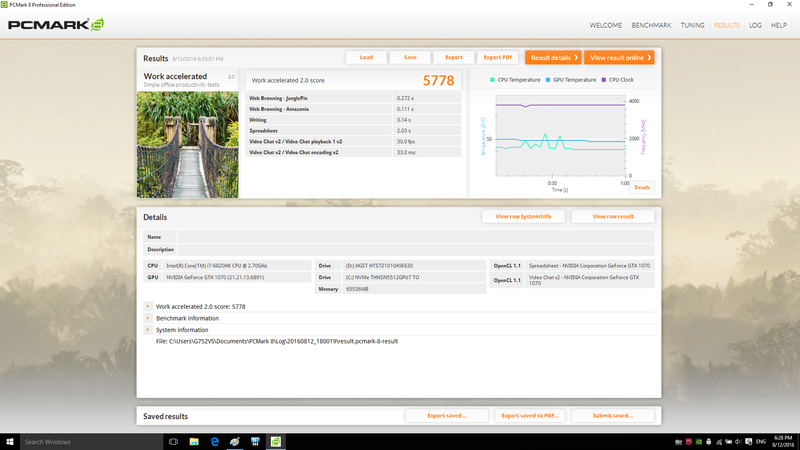 The Asus G752VS performs quite well in power consumption. 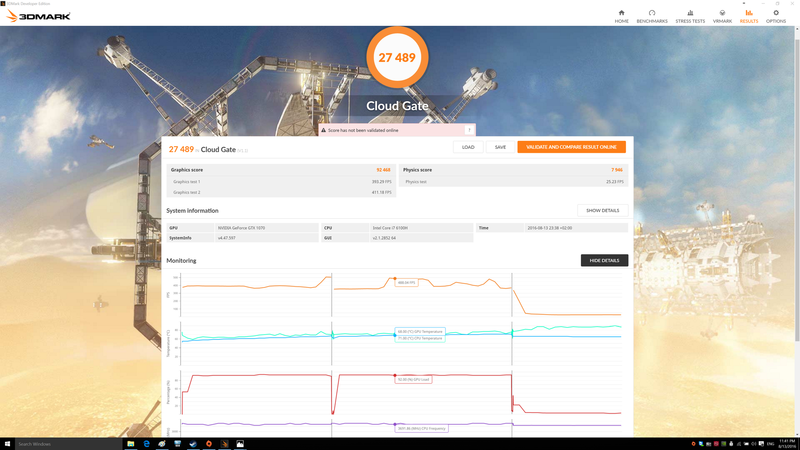 The direct competitor, the MSI GT72VR, can score points when running idle but partly requires significantly more energy under load. Both devices require a maximum of 204 Watt. 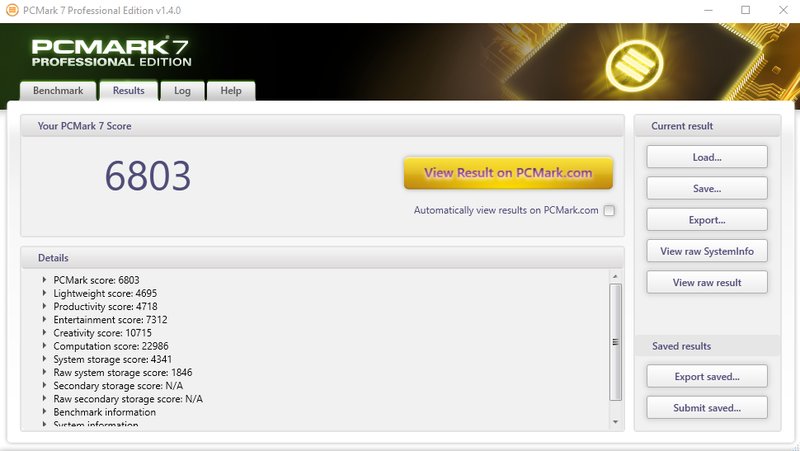 Overall, the Asus G752VS performs about 5% better. Alienware did the best job and has the lowest power consumption in the 17-inch range - in our comparison group. 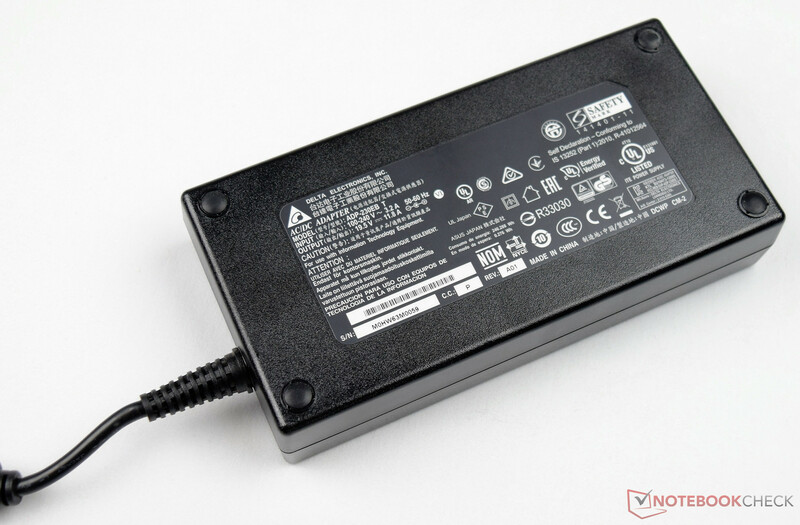 The included power adapter provides a maximum of 230 Watt, which is sufficient. There are even reserve capacities for charging the battery under full load. 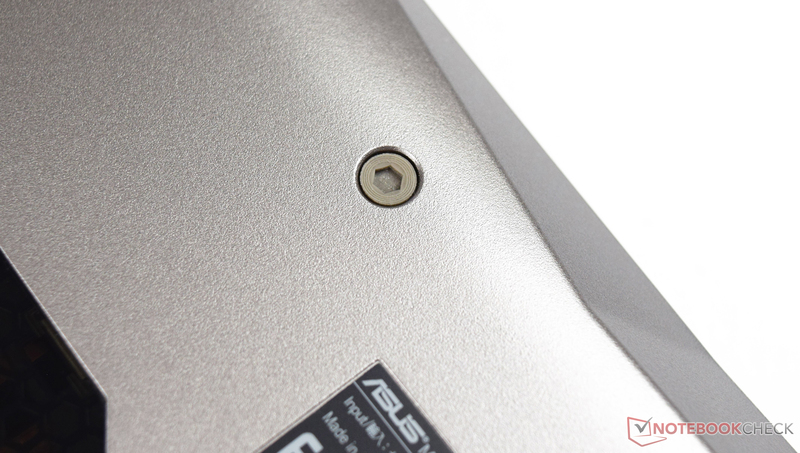 The Asus G752VS features a lithium-ion battery rated at 90 Wh, which is fixed and cannot be easily removed. Despite much higher capacity than the G752VY's, the battery life is not longer. 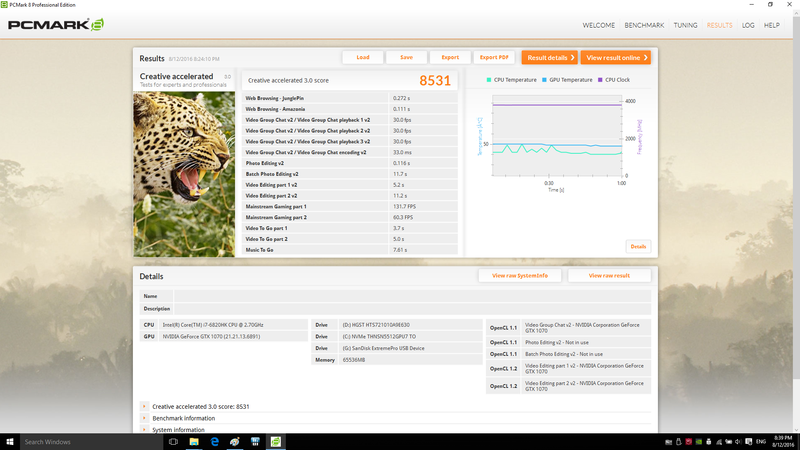 The MSI GT72VR with a minimally smaller battery achieves very similar battery runtimes as our test sample. 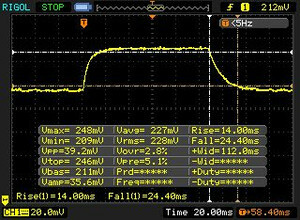 Under load, the G752VS has to be connected to the grid after just under 1.5 hours. When running our Wi-Fi script, the 17-inch laptop achieves a battery life of about 3.5 hours. This realistic test opens different websites in 30-second intervals in order to simulate web surfing. 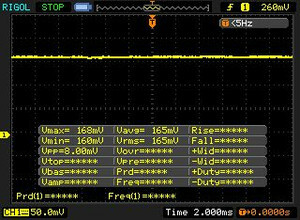 The energy profile "balanced" is active and the display brightness is set to about 150 cd/m². 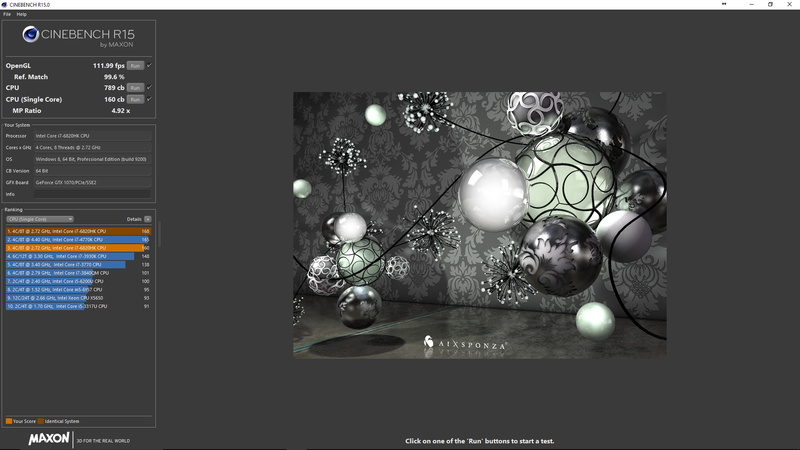 The latter corresponds to decreasing the brightness by 10 levels in the Asus G752VS. When watching videos, a full charge is sufficient for 1 to 2 HD videos. Gaming is possible on battery, however, the clock frequency of the GeForce GTX 1070 gets throttled heavily. 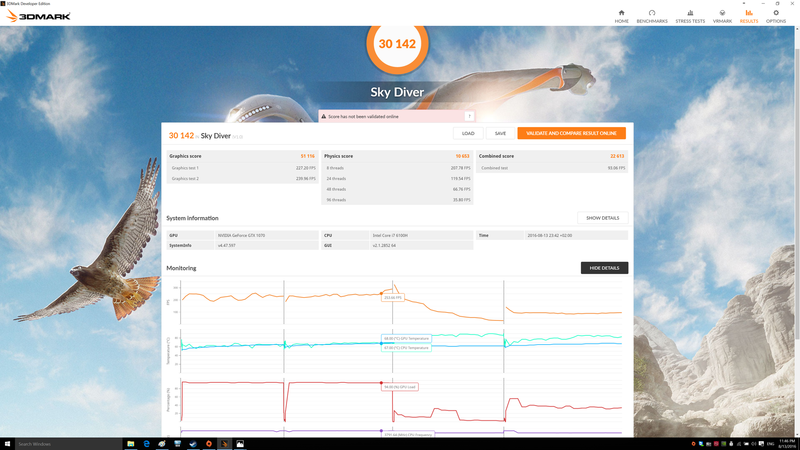 In a 3DMark 11 run on battery, the desktop replacement only achieves 7103 vs. 17151 points in mains operation (-60%). 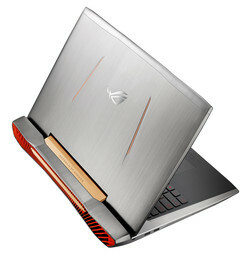 The high-end notebook from Asus certainly does not have to hide behind the rivals, quite the contrary. 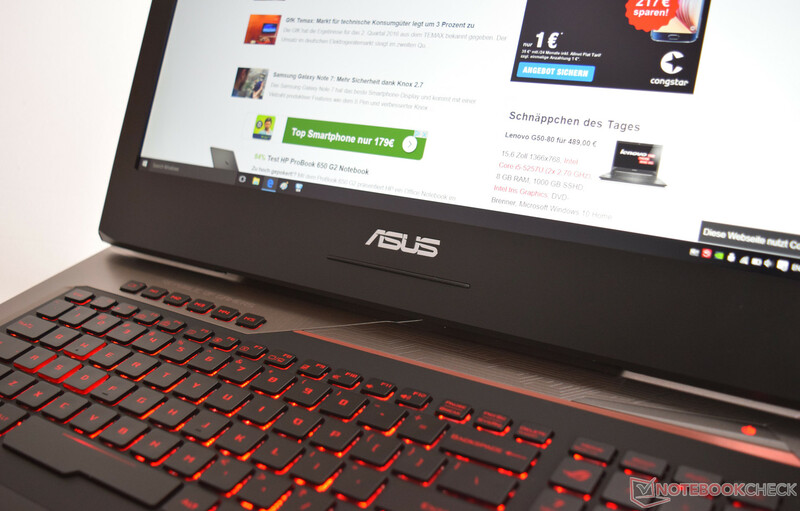 Users of the Asus G752VS will get a lot of performance. 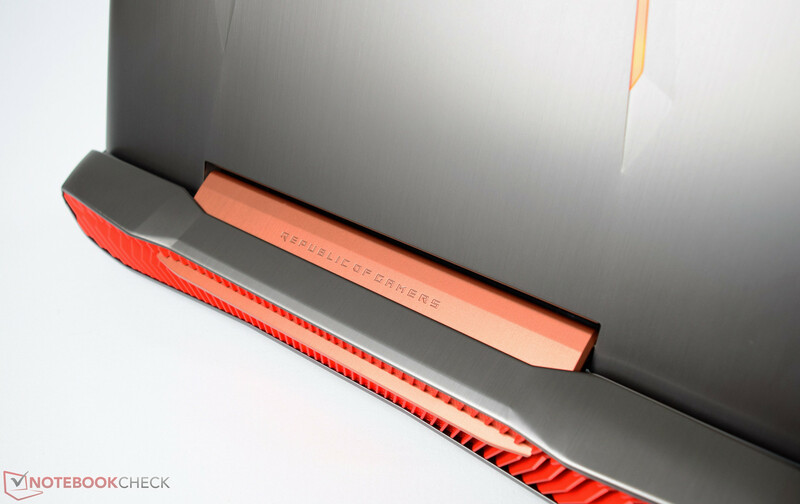 The Pascal launch starts a new era for gaming notebooks and even clearly surpasses the performance of the predecessor generation. Nvidia's GeForce GTX 1070 is the second-fastest single-GPU solution you can currently get, and only the Nvidia GeForce GTX 1080 is even faster. 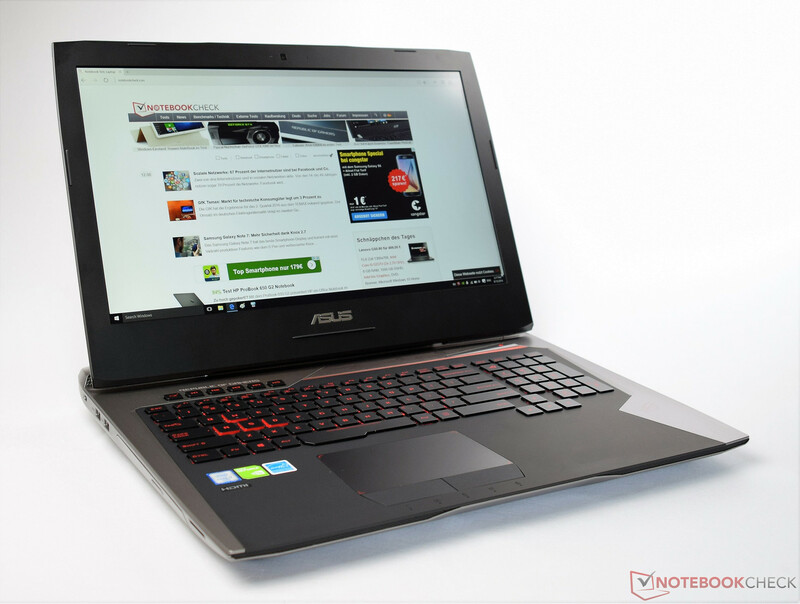 Asus equips the G752VS with a very fast Intel Core i7-6820HK. There are also no concerns in terms of memory, because 64 GB DDR4-RAM is easily sufficient even for very demanding applications. 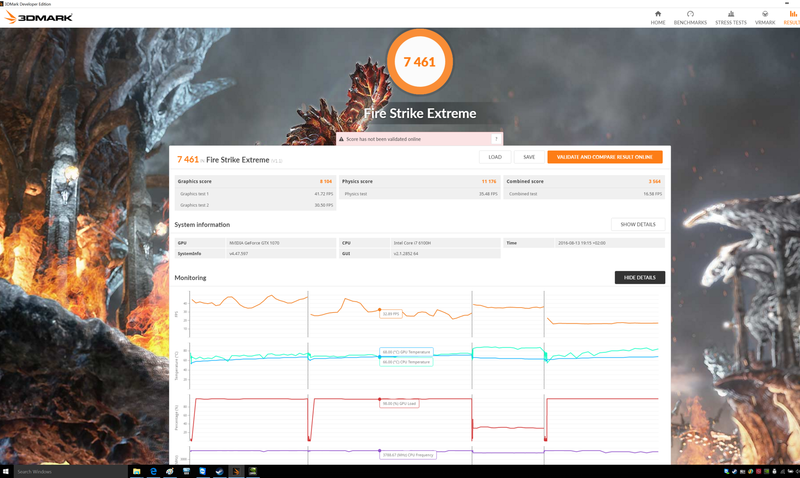 Asus managed to improve the performance of the G752VS significantly and it is even powerful enough for modern titles in 4K and medium to high details. The build quality is fully convincing. Small extras like G-Sync and macro keys are advantages specifically for gamers. It requires a clever cooling solution to keep the enormous performance under control. The 3D Vapor-Chamber cooling module for the Nvidia GeForce GTX 1070 is sufficient and the GPU performance can be utilized all the time. You can clearly hear the device, but it is still reasonable. You should not be scared off by the weight if you plan to buy such a device. 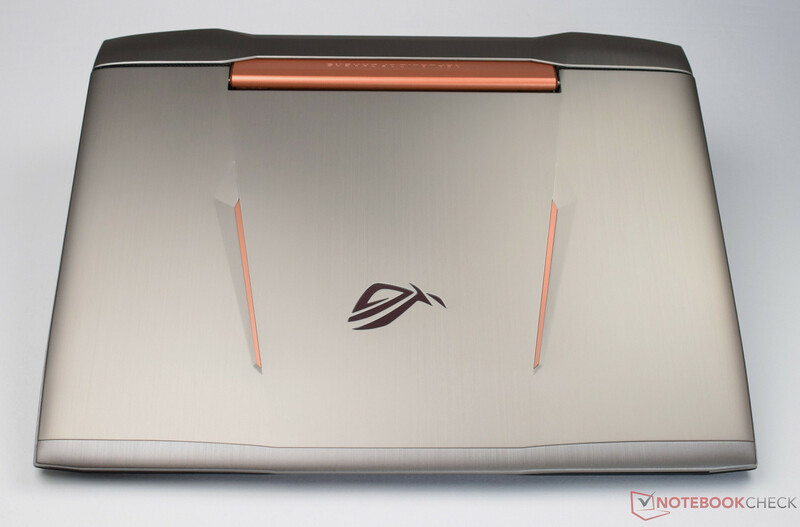 The Asus is quite a heavy piece at 4.5 kilograms, but that was to be expected.